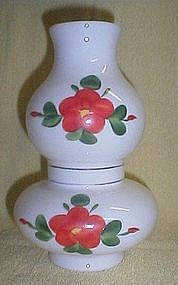 Hand painted glass pitcher with ice lip 7 1/2" hi and 2 glasses 3 1/8" hi. 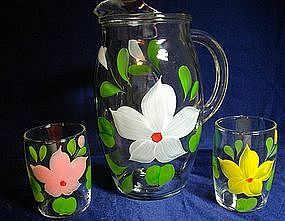 Beautiful brush stroke flowers, pitcher in white, glasses in yellow and pink. Very nice condition! Milkglass Hurricane Lamp Globe. 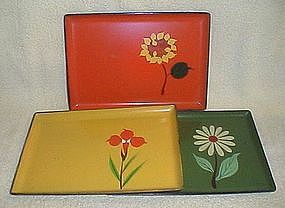 Hand painted red flowers and buds with green leaves, gold trim in the middle. 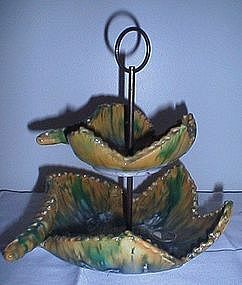 9" tall, base is 1/4" deep and 3" diameter, may be blown glass, the edges are rough. Great condition. 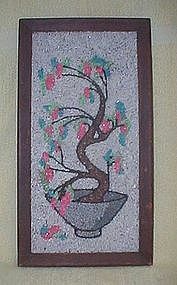 Gravel Art Framed Bonsai Tree picture, totally 1970's. Wood frame, lightly scuffed, has wire hanger in back, colors of pink, teal and mint on brown trunk, grey bowl and white background. 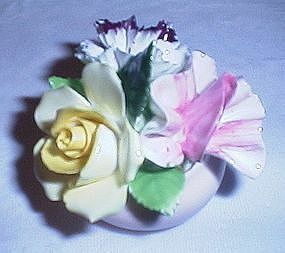 Adderley Bone China Flowers, about 2 3/4" high. One of the leaves may have a chip, its hard to tell. Otherwise excellent condition. Yellow rose purple white flower and pink sweet pea (I think!) 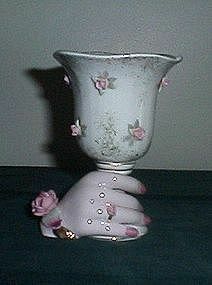 with green leaves in a pale pink pot. 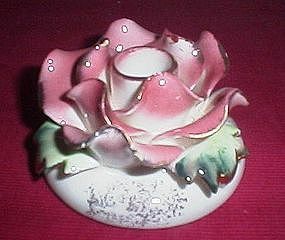 Commodore Japan Rose Candle Holder, has some small flea bites on the ends of the petals, not highly noticable, doesn't detract from the beauty. 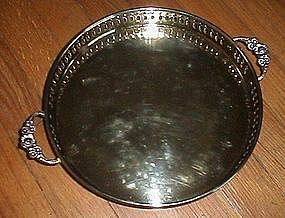 Base is about 3 5/8" diameter. 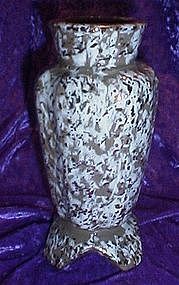 Lefton Hand Vase, #929, hand painted. Some of the leaves have been broken off behind the roses but still a good looker. 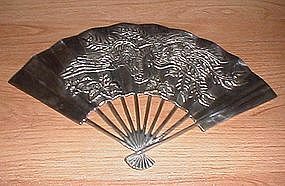 Unusual glass vase/bowl. 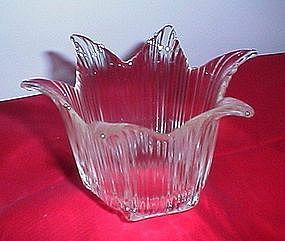 The glass is clear but has a slight yellow tint, ribs on six sides with the "tulip" top. About 4 1/4 tall and 4 diameter. Excellent condition. 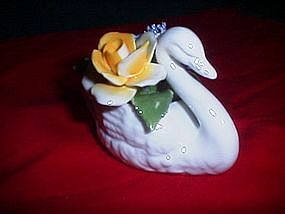 Beautiful Radnor England Bone China white swan with gold rose and blue carnation, Excellent condition!